Converts photographs into line drawings. Great for illustrating books and manuscripts, sketching patent drawings, and creating personalized gifts. Makes excellent templates for embroidery, woodcarving, metal cutouts, cnc plasma cutting. 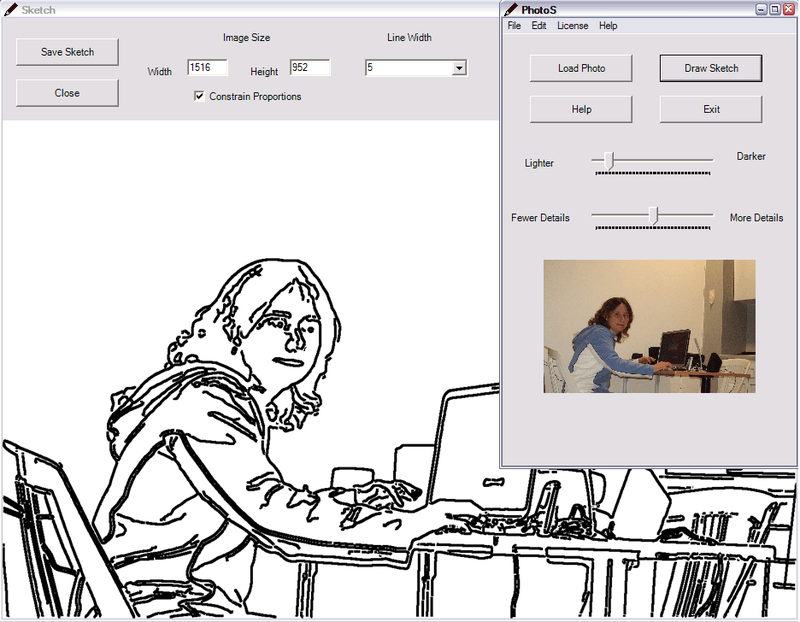 The output can be saved in various raster and vector formats, including jpeg, gif, and dxf.